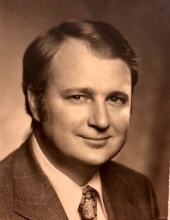 Celebrating the life of John McCaa, Jr.
Obituary for John McCaa, Jr.
John McCaa, Jr., age 83, passed away January 14, 2019. He was a loving and devoted father and grandfather who will be greatly missed. John was a proud veteran, serving as a United States Naval Intelligence Officer with Red Rippers Fighter Squadron and at the Pentagon. He was the founder of two businesses and was a successful international businessman. He was deeply spiritual and dedicated to studying the word of God with a scholarly passion and to deepening his personal relationship with Christ. He was preceded in death by his parents, John McCaa, Sr. and Miriam Cook McCaa. He is survived by his daughter and son-in-law, Miriam and Devin Tighe of Alexandria, LA; son and daughter-in-law, John and Ashley McCaa of Atlanta, GA; son, Christopher Alfaro Noble McCaa of Charleston, SC; grandson, John William McCaa; granddaughters, Julie Virginia McCaa, Ava Caroline Tighe and Brynn Louisa Tighe. The family plans to have a memorial service for Mr. McCaa at a later date. To send flowers or a remembrance gift to the family of John McCaa, Jr., please visit our Tribute Store. "Email Address" would like to share the life celebration of John McCaa, Jr.. Click on the "link" to go to share a favorite memory or leave a condolence message for the family.